Well another thing for definite is that wherever you might find yourself on Planet Earth come the Summer you're almost guaranteed to have to hand the two staples of a modern connected person: A Facebook account and an iPhone. Luckily for you that Facebook and iPhones have become more integrated in recent years with some very clever and useful apps connecting up the two. 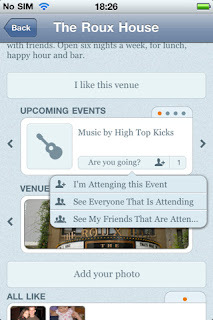 The particular one we have in mind for a Summer of barbecues and music events is the F.Y.I Fly app. And for your information what this app does is alert you to all local activities, summer or winter all year round. 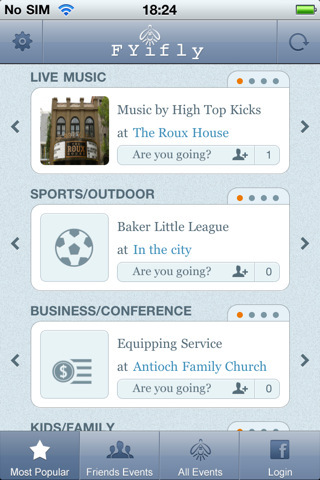 So events and activities on your iPhone for all ages and walks of life. The social app is raising a storm due to it's simplicity to operate. It's straightforward to log on to the app, choose your type of event and see who else is attending, all with that clever aforementioned Facebook hook up. Of course savvy event organisers need to be made aware of this app too as it could make their event promotions so much easier. After all Summer and Festivals are as cosy bedfellows as iPhone and Facebook.